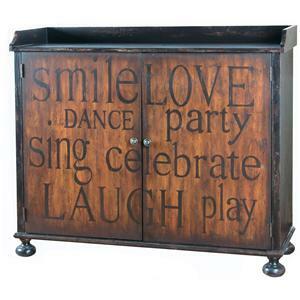 Give your home some unique antique style, as well as functional storage, with this beautiful Console. The piece's highlight is surely the decorative grating adorning the front door, which also gives you a glance at the 8-bottle wine rack within. 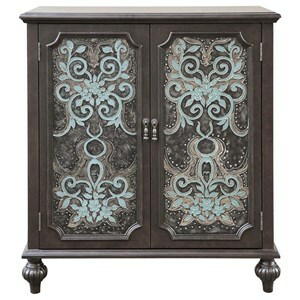 You also receive two more end doors, as well as a single drawer in the top of the piece. 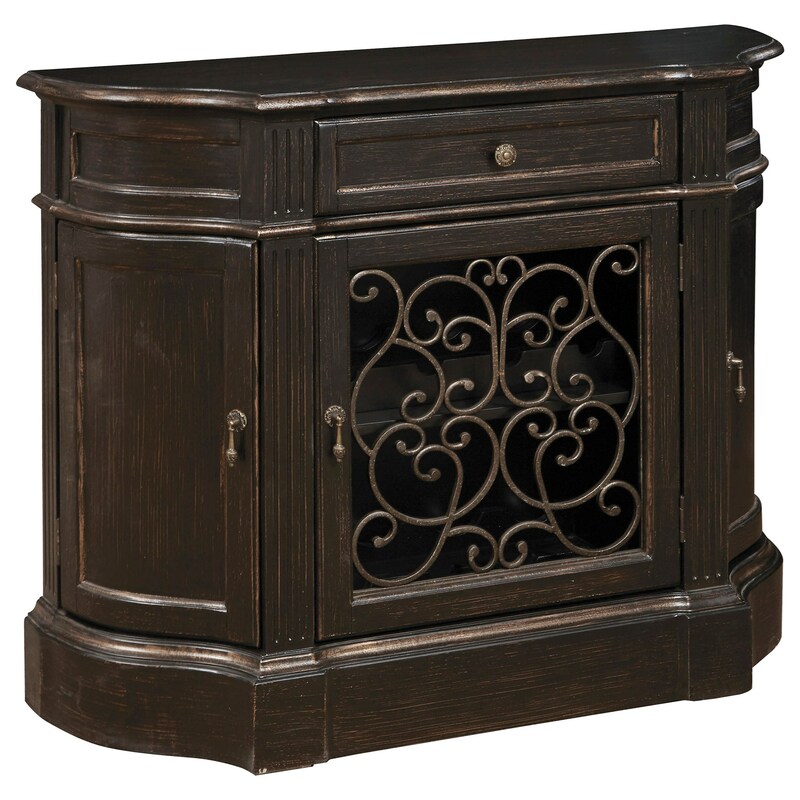 The Accents Console with Wine Storage by Pulaski Furniture at Colder's Furniture and Appliance in the Milwaukee, West Allis, Oak Creek, Delafield, Grafton, and Waukesha, WI area. Product availability may vary. Contact us for the most current availability on this product. The Accents collection is a great option if you are looking for furniture in the Milwaukee, West Allis, Oak Creek, Delafield, Grafton, and Waukesha, WI area. Browse other items in the Accents collection from Colder's Furniture and Appliance in the Milwaukee, West Allis, Oak Creek, Delafield, Grafton, and Waukesha, WI area.